Speculation regarding Antonio Conte's future - Luis Enrique touted. According to the press, Antonio Conte’s days are seemingly numbered at Stamford Bridge and the man being touted to replace him is former Barcelona manager Luis Enrique. The Spaniard won the Champions League during an extremely prosperous spell at the Nou Camp, but was shown the door after the club were usurped by Real Madrid last season. A similar mentality prevails at Chelsea, where successful managers are quickly axed the second results start to tail off. Recent casualties include Carlo Ancelotti, Roberto Di Matteo and Jose Mourinho (twice). Conte now looks set to join that illustrious list amid friction with the board, tension surrounding a lack of signings and nose-diving results. 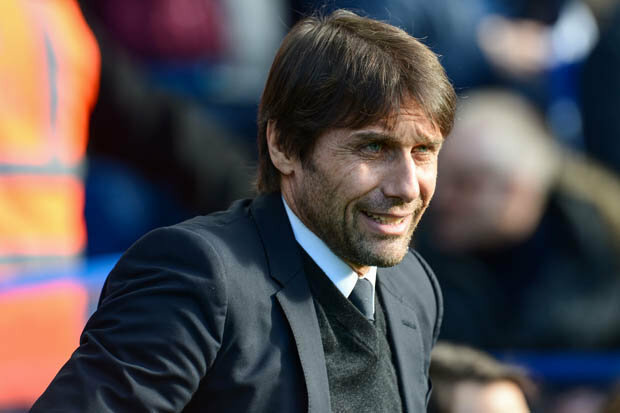 The former Juventus and Italy boss has suggested that being a long-term manager at Chelsea is impossible, given Roman Abramovich’s track record for firing coaches. Carlo Ancelotti won the double in his first season, but was sacked after a trophyless second campaign. Di Matteo won the Champions League, long considered the Holy Grail for Abramovich, but did not last long after that. Mourinho won titles in both spells but was quickly dispensed with. Conte won the Premiership title at a canter last season, and now faces being cast aside as Man City have run away with the league this season. It seems cruel to sack these superb managers so quickly, but this formula has served Chelsea extremely well over the years. Most clubs would kill for the level of silverware the Blues have seized since Abramovich took over back in 2003. Contrast it with Arsenal, where the omnipotent Arsene Wenger lumbers on without a title in 14 years, and it is hard to argue against Abramovich’s logic. However, on the flipside of the Wenger coin is Sir Alex Ferguson, who continued to enjoy unprecedented success during his decades at Man Utd as he was backed to the hilt by his board. Could Chelsea create a similar situation by reining in their trigger-happy ways? Conte has every right to feel aggrieved as his first choice transfer targets have all evaded the Blues. Romelu Lukaku went to Man Utd, Alex Sandro remained with Juventus, Leonardo Bonucci went to AC Milan, and so on. When Chelsea should have been building on last season’s success, they were allowing the Manchester clubs to overtake them. In this January transfer window, while Man Utd were busy signing Alexis Sanchez to reignite their campaign, Arsenal were chasing Pierre-Emerick Aubameyang and Henrikh Mkhitaryan and Liverpool were splashing out on Virgil Van Dijk, Chelsea were being linked with Andy Carroll and Peter Crouch. That could suggest a worrying lack of ambition from Abramovich. If the Russian were to grow bored of the Premiership, it could have disastrous ramifications for the club. They looked bereft of star quality in the Carabao Cup semi-final second leg defeat against Arsenal, as only Eden Hazard looked lively in attack. The previous Chelsea teams under Abramovich had an exceptionally strong spine and were brimming with fighting spirit. When Arsenal players were bullying Hazard in the second half, his teammates shied away. The likes of John Terry and Didier Drogba would have gone berserk, and Chelsea could do with recruiting more leaders, along with more dynamic forwards. Sanchez would have been perfect, but he is now at Man Utd. This team clearly needs an injection of star quality, and rumours that Hazard is being linked with a move away are worrying as he is the club’s leading light. However, it is far too soon to write Abramovich off. He has never yet failed to splash the cash to ensure Chelsea remain one of the world’s elite clubs, and it is highly likely that we will see a massive investment once again in the summer, by which time Conte will presumably be replaced by Enrique. He is the favourite to be the Blues’ next manager, make sure to review the odds and research bet365 before placing action and he seems like a pretty good fit. Nothing about the appointment of the Spaniard would suggest a long-term dynasty in the making, but there is every reason to think that the Blues will continue to flourish regardless. One day the club may be blessed with a Ferguson type to lead them to long-term glory – a coach that is not as spiky as Conte or Mourinho, but spikier than Ancelotti and more polished than Di Matteo – but for now fans should keep the faith in Abramovich’s methods as it has served Chelsea well until now. In Hazard, Thibaut Courtois and N’Golo Kante there is a strong base for a title-winning team in 2018/19, and it simply needs to be supplemented by the sort of star talent that Abramovich has a track record of attracting. This is the alternative view.